More citrus, please! Apparently I like citrus lately. 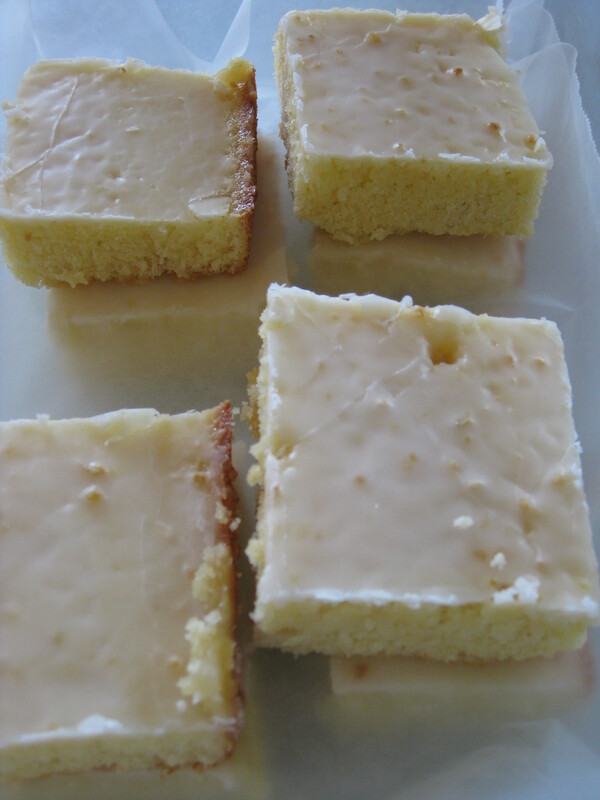 I recently posted the Key Lime Cream Cake I made. Tonight I made Lemon Brownies. Ever heard of those? I hadn’t either, until I found this recipe! I wondered if the texture would be like a brownie or a cake. Recently I made an Apple Brownie recipe, but that had the texture of a cake. It was very good, but it was a cake, not a brownie, so I was a bit disappointed. I like the dense texture of brownies — not the really gooey ones, but the heavier, drier type. Well, I “needed” to know the texture of these! I had all the ingredients in-house for this and it’s very simple, so I gave it a try. I made a double batch to fill a 9 x 13 pan because I think making anything in an 8 x 8 pan is a waste of time. By the time I have enough “samples” to determine if I like something or not, there isn’t enough left for anyone else! So 9 x 13 it was. Click for recipe. While the recipe called for zest and juice from a fresh lemon, I used dried zest from a jar and juice from a bottle. I suspect the lemon flavor may be a bit more pronounced with fresh zest, but I was not disappointed in the flavor of mine. I wonder about making these with other citrus flavors such as key lime or tangerine, and think I’ll have to give those other flavors a try. 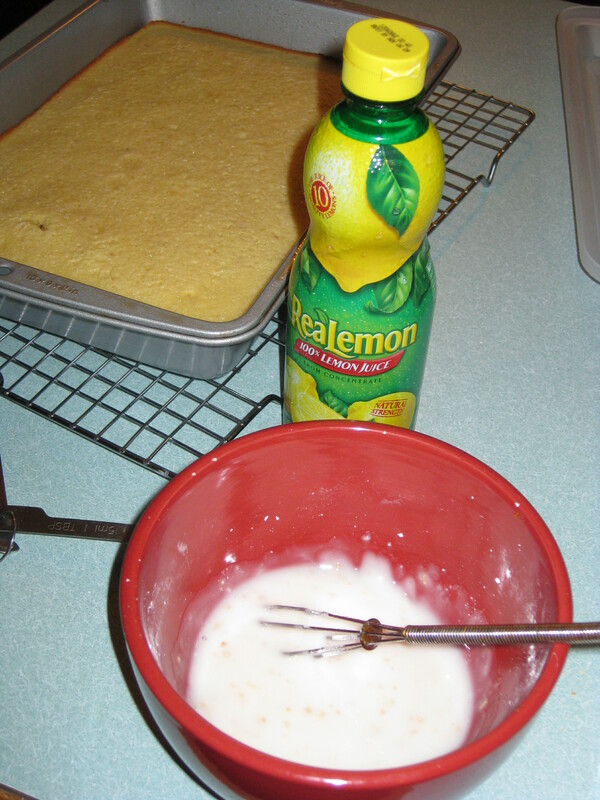 But for now, I’m quite satisfied with my lemon brownies! The only problem I might have is making them last until Monday so I can share them at work. I certainly don’t need to eat a whole pan of them myself, but I’m sure I could! Combine the flour, sugar and salt in a large bowl. In another bowl, whisk the eggs with the lemon juice and zest. Add to the larger bowl and mix well. Pour into lightly greased 9 x 13″ pan. Remove and let cool completely before adding glaze. Stir together and spread over cooled brownies.